Mousehole gained more than ample revenge for the controversial 2-2 draw at Bodieve Park in September with a comprehensive win over a Wadebridge side that had stood only one place behind the Seagulls before kick-off but will have left Trungle Parc relieved not to have suffered an even bigger defeat. This was Mousehole’s second consecutive 6-0 win – and also Gerens James’ second hat-trick in a row – taking Kevin Nicolson’s side up to third in the league table. The Seagulls have now created a superb seven-game winning sequence since the turn of the year during which they have scored 34 goals while conceding a mere two, a record that would probably have been extended had Ludgvan not pulled out of the previous Saturday’s match at short notice. With six matches remaining, four of which are at home, Mousehole are now six points behind league leaders Liskeard Athletic and two points behind second place Porthleven with two games in hand – they also have the best defensive record in the Division and marginally the best goal difference. Saturday’s starting line-up included only three players – Paulo Sousa, Gerens James and captain Billy Curtis – who had featured in the clash with The Bridgers earlier in the season, as the squad has evolved into genuine title contenders as well as looking odds-on for promotion to the new Step 6 league in the summer. The Seagulls were quickly into their stride to take a 2-0 lead within eight minutes. Amara Bakayoko’s dynamic run at the visitors’ back line created the ideal chance for Gerens James to fire low past goalkeeper Rob Rosevear from 10 yards in the 6th minute, and two minutes later Paulo Sousa and Lez Cela combined intelligently to give Hamza Kaid the space on the left of the box for a curling 15-yard shot into the far corner. It was nearly three after 12 minutes when James’ shot on the turn from 8 yards was deflected for a corner. 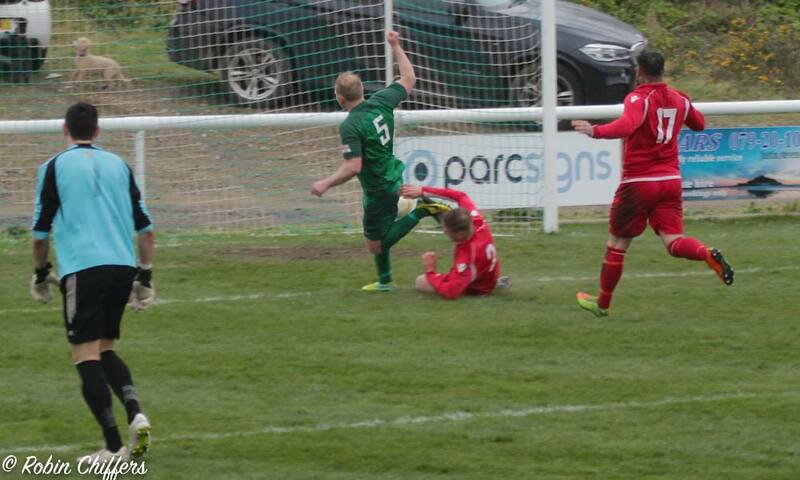 Wadebridge had their first sight of goal in the 24th minute with a driven 20-yard free kick, but Jason Robertson got down smartly to keep the ball out with a strong hand just inside his left-hand post. That save became all the more important a minute later as a 15-yard shot from Steve Burt cannoned in off the inside of the post for 3-0 after James’ quick throw-in had released Bakayoko down the right for a pulled-back low cross. Mousehole continued to pile on the pressure, James’ cheeky near-post chip going just wide on 35, Kieron Toland volleying Bakayoko’s long cross straight at Rosevear on 38, Kaid’s fierce shot from the right blocked in front of goal on 44, and Bakayoko firing wide of the near post seconds later. Wadebridge managed one threat at the other end but Robertson made an awkward save look comfortable from a swerving 15-yard shot just before half-time. The pattern was the same after the interval, the hosts enjoying massive superiority of possession and carving out regular chances as The Bridgers tried to limit the damage. Gerens James was foiled by a great last-ditch challenge by Tom Crowe in the 55th minute and then headed the resultant corner wide. But the top marksman had only a further minute to wait for his second goal, tapping into an open net after Hamza Kaid had run on to Kieron Toland’s penetrating through pass and slipped the ball past the advancing Rosevear. And on 63 minutes Toland’s left-foot drive from the edge of the box came back off the post for Bakayoko to touch home for 5-0, the same score as in the Cornwall Charity Cup Final against the same opposition at Penryn last May. Wadebridge had their best moments of the game in the last 15 minutes, Robertson having to react quickly to tip over a fierce 20-yard shot, a shot from distance then going just over the crossbar, Billy Curtis clearing a dangerous cross in front of goal, and Kyle Flew heading a free-kick too high from a promising near-post position. But after all that it was Gerens James who claimed another hat-trick in the 88th minute as he and two defenders converged on Bakayoko’s low cross inside the 6-yard box. Mousehole will look to continue their impressive form next Saturday (30th) when Wendron United are the visitors to Trungle Parc (3pm). The Seagulls won 3-0 away against The Dron in the second match of the season with a hat-trick from Steven Ziboth, now with Truro City, but the visitors have had one of their best seasons in recent years and have moved up to sixth place in the league table. The following Saturday (6th April) Mousehole are again at home when they host Plymouth Marjon, with free entry to all comers for this match. 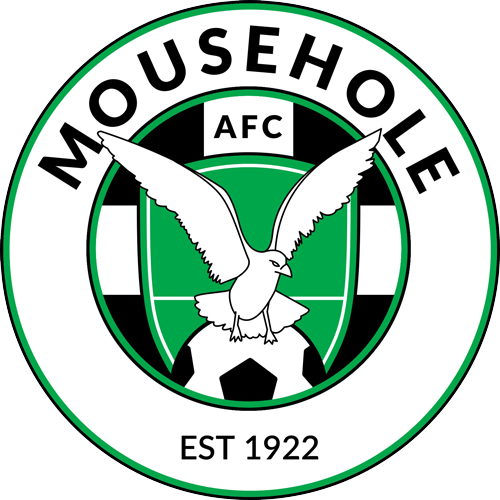 Mousehole: Jason Robertson, Tyler Tonkin, Billy Curtis (captain), Ben Williams, Paulo Sousa, Lez Cela, Steve Burt, Kieron Toland, Hamza Kaid, Amara Bakayoko, Gerens James. Referee: Elliot Green Attendance: 86.